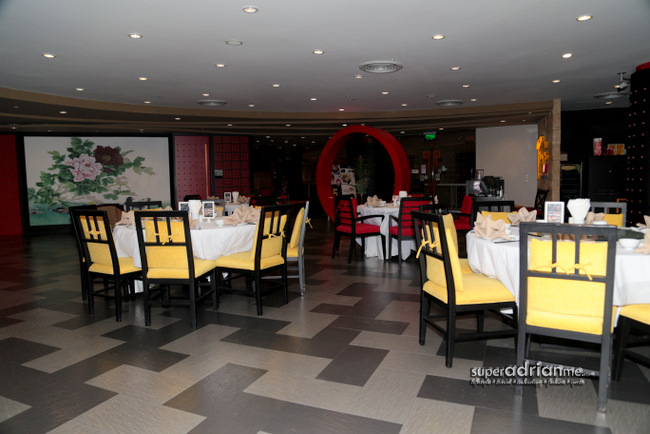 Whenever we are in Bangkok, we have to drop by Ping’s Thai Teochew Restaurant located at Pathumwan Princess Hotel. In fact the first time we dined there, a friend of us brought us there and introduced us to a fellow Singaporean Khun Jacqueline who runs the business with her family. Ping’s first started off at Asok Road for over a decade under Jacqueline’s family. 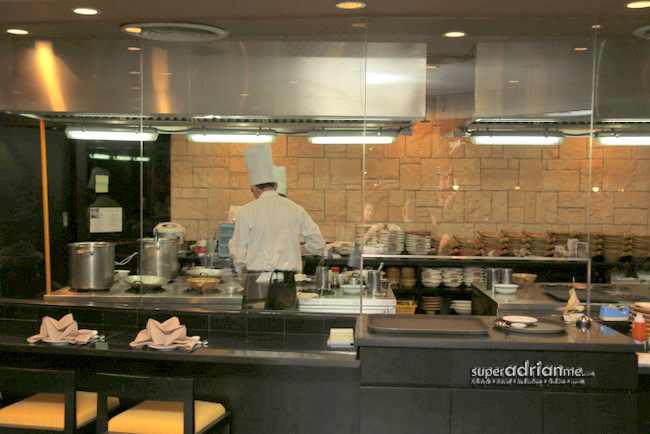 The restaurant’s Chef Saetia Hung Ping has over 45 years of experience. They opened a new outlet in Pathumwan Princess Hotel which is right smack in the shopping district of Bangkok next to MBK Shopping Centre. The restaurant may look a bit intimidating from outside with its more posh environment but once you step in and order your meal, you would be glad you didn’t get turned off by the facade. The menu is rather extensive here. We could only eat so much so here are some of our recommendations. 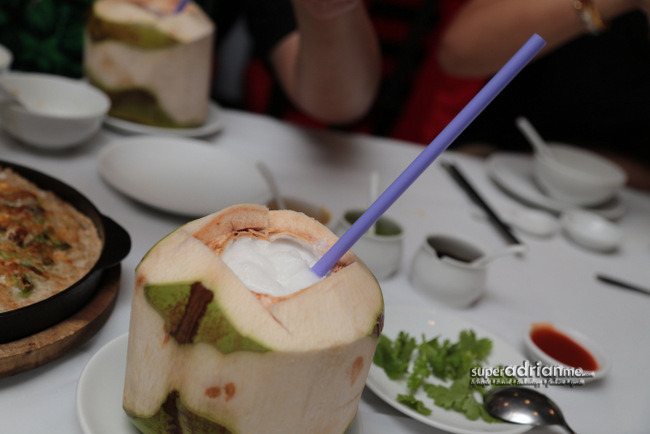 If it is a hot day, you want to start off your meal with a refreshing iced coconut. These sweet fresh coconuts are available in abundance in Thailand so you have to order one of these. There is another version that we absolutely love. But you can order this for desert. 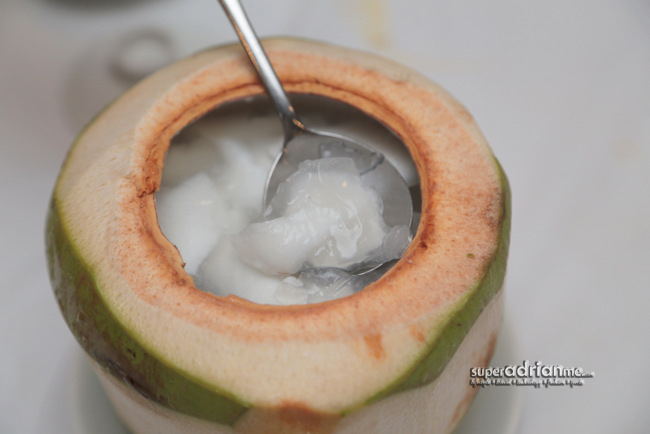 The coconut in Jelly made of coconut juice is so good you may end up ordering more than one for yourself. Fish Maw is readily available in Thailand and has always been a favourite amongst the Chinese. This dried swim or air bladders has no fishy taste and absorbs the flavours of the broth and other ingredients. Fish maw, a good source of collagen, has become a popular substitute to shark’s fin in soups. 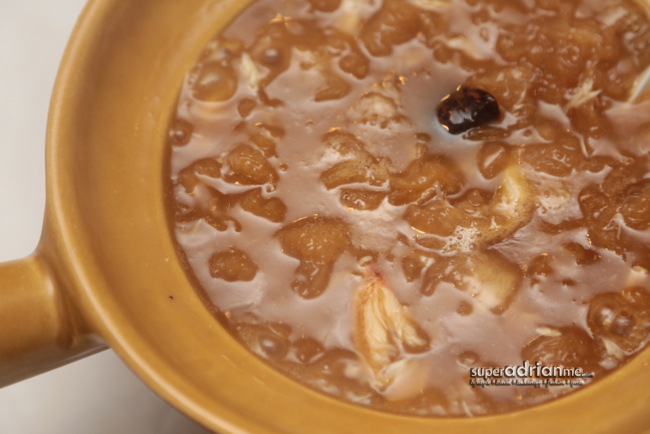 The Braised fish maw and crabmeat broth served at Ping’s Thai Teochew Restaurant has rich flavours which quickly engulfs your palate and emotions that comes with consuming comfort food. The thick broth makes a good starter here. Using only fresh ingredients, this broth is so tasty it can probably fill you up pretty quickly as well. Good eaten on its own, or with a bowl of rice, whichever pleases your palate. Order a large portion to share or simply order a small portion to eat on your own. 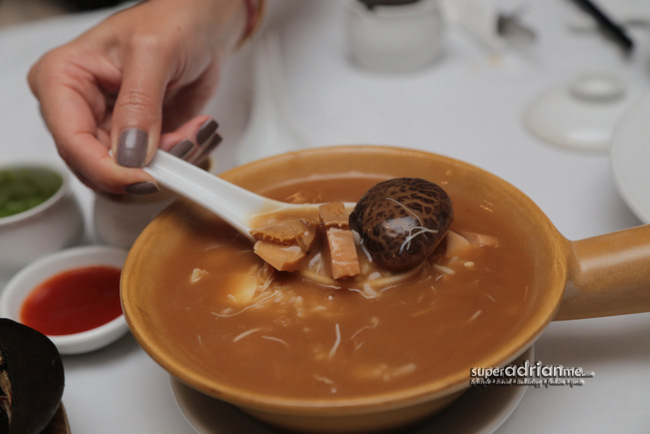 If you prefer sea cucumber soup, then go for the Braised Abalone with Sea Cucumber broth in Claypot. The conflicting textures of the firm yet crunchy abalones goes well with the sea cucumber which almost melts in your mouth. 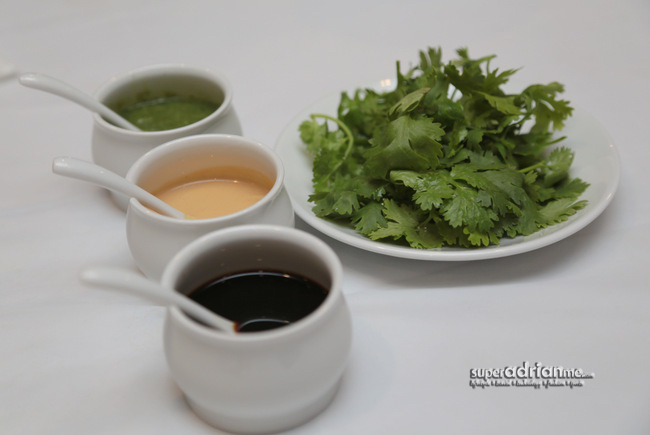 Don’t forget to ask for condiments such as coriander to add into your broths for that added flavour. 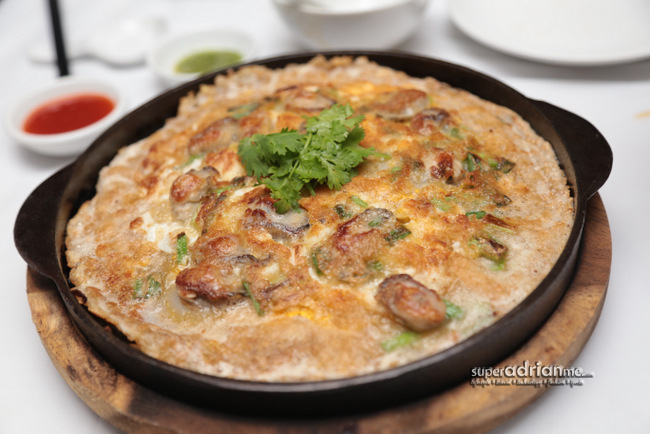 If you are familiar with the oyster omelette in Singapore, then you would want to order a serving of deep fried oyster omelette at Ping’s. The generous servings of relatively large oysters fried with omelette in a hot pan is fragrant and crispy. 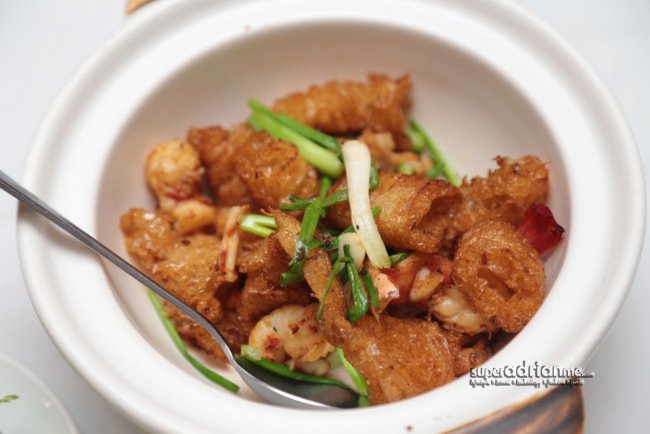 The fried fish maw with prawns is also another signature of Ping’s. The aromatic crispy chewy fish maw goes well with rice. Bangkok’s answer to the mee pok is the Ping’s Braised Goose Web and Noodles in claypot. 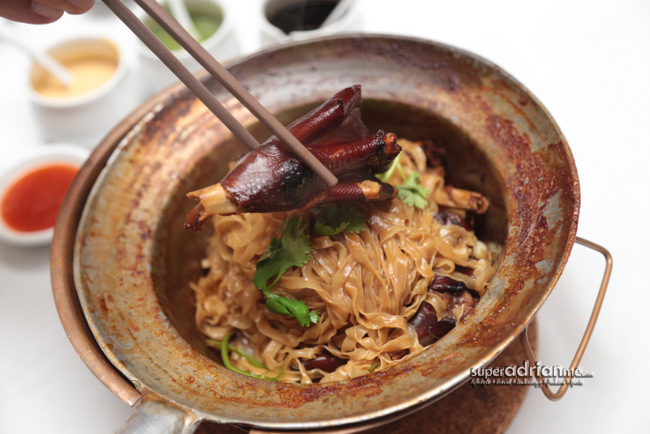 The soft flat noodles soak up the flavours from the braised goose web. And the goose web was spectacular. Be adventurous and give the goose web a try. Ping’s Vermicelli in Claypot has two variations. It is prepared with either meaty crabs, baked crab claws of baked lobster. 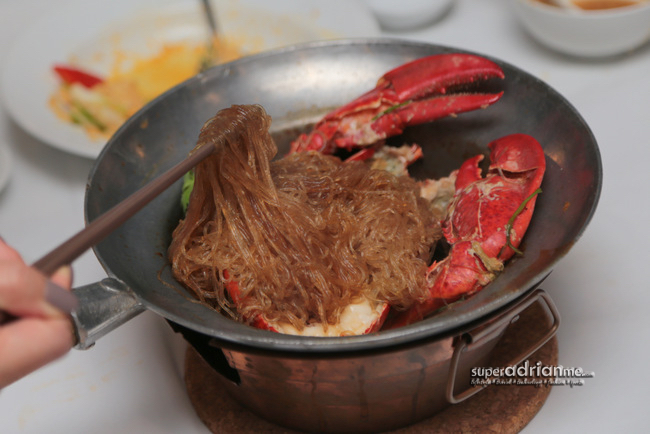 The crabs are charged by market price while the Baked Lobster with Vermicelli in Claypot is priced at THB988. We will always return to Ping’s Thai Teochew Seafood Restaurant for a meal whenever we visit Bangkok because the food is comfort food to us. The unpretentious ambience with air condition comfort coupled with the food that we enjoy at reasonable prices gives us reason to return or even entertain friends.